A wonderful story that pulls a bit on the heartstrings, when you consider the possible plight of our K-9 veterans. 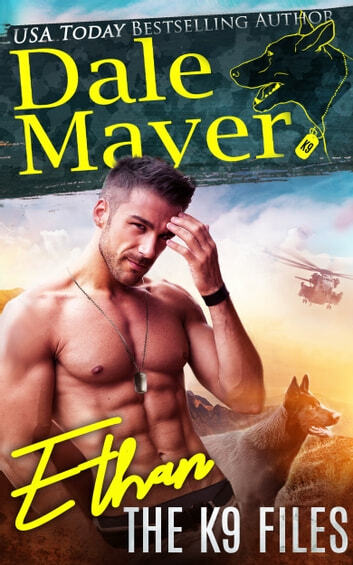 This book has a bit of everything, action/adventure, suspense and military/contemporary romance. I've already bought the next in the series. Easy enjoyable entertaining book to read. Oils be a good series to follow. What a fantastic new series!! I love everything about it! I was totally captivated from the very beginning. This story grabs your heart and doesn’t let go. I enjoyed all the descriptive and informative details about the area and about the K9 Unit as a whole as well as the individual dogs, their training and the commands used. I love the heart of this story. It’s all about the dogs and their journey from trained military dogs to becoming retired or discharged military vets. They are still good dogs, well trained and very confused. This is such an in-depth and intriguing story. Cinn has the skills and connections to help dogs in need from all over the world while Ethan has the touch and instinct to train and handle even the most difficult dogs he comes across. This story puts you right there where all the action is. You can feel the heat and almost taste the dust when Cinn must improvise or get captured. This is definitely a rapid page turner! You won’t put this book down until you find out what happens! I am excited for this series and can hardly wait to start book two! Excellent job! I loved it!